CrossFit Kids is Official in Sioux Falls!!! Who’s ready for CrossFit Kids!? We at CrossFit Sioux Falls certainly are! It has been truly awesome to watch our adult community grow. We’re all getting stronger — mentally and physically, we have a support system like no other, we believe in CrossFit, we are learning how to eat better — it’s time to bring the children into this experience and fantastic life-changing adventure. As a parent of two children, ages 5 and almost 3, I am thrilled that they will have the same opportunity that I have been fortunate enough to have found – CrossFit. I am confident CrossFit will be a part of their lives forever and honestly that brings a gigantic smile to my face. The kids will experience coordination, agility, balance, accuracy, strength, speed and most importantly, (I believe) confidence. As Thomas Jefferson wrote, “A strong body makes the mind strong.” Brain function is positively impacted by exercise and more now than ever, I believe, our kids need this confidence. They will also become better citizens of our community and world, they will have higher test scores, they will be less likely to experience anxiety and depression. Children are our future — we need to teach them well and how awesome will it be to watch them bloom. 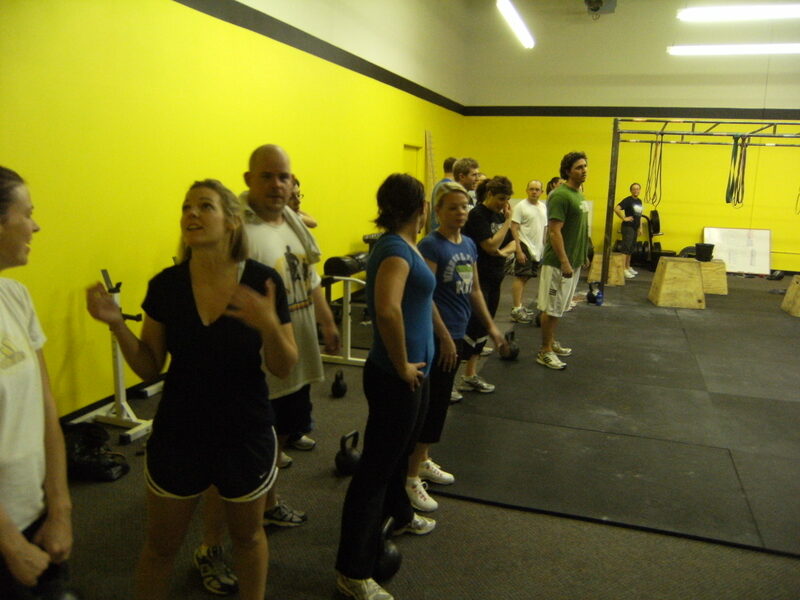 This entry was posted on December 8, 2009 at 3:30 am and is filed under CrossFit Workouts, In the News, Members. You can follow any responses to this entry through the RSS 2.0 feed. You can leave a response, or trackback from your own site.